Primas Medispa offers some of the very best beauty treatments in Central London. Get in touch today, and let us cater to all of your beauty needs. Primas MediSpa is a leading beauty clinic and luxury spa based in the heart of Central London. With cutting edge technology and impeccable levels of customer service, we offer some of the most effective treatments on the market. Our team of experienced beauticians and spa treatment experts are here to bring you the most effective beauty treatments using their understanding of your requirements and some of the best beauty technology on the market. With connections in the global beauty market, some of our equipment is completely new to the UK market – we’ve gone above and beyond to secure the technology needed to deliver the results our customers deserve. If you know which beauty solution is the right fit for you, go ahead and book today. 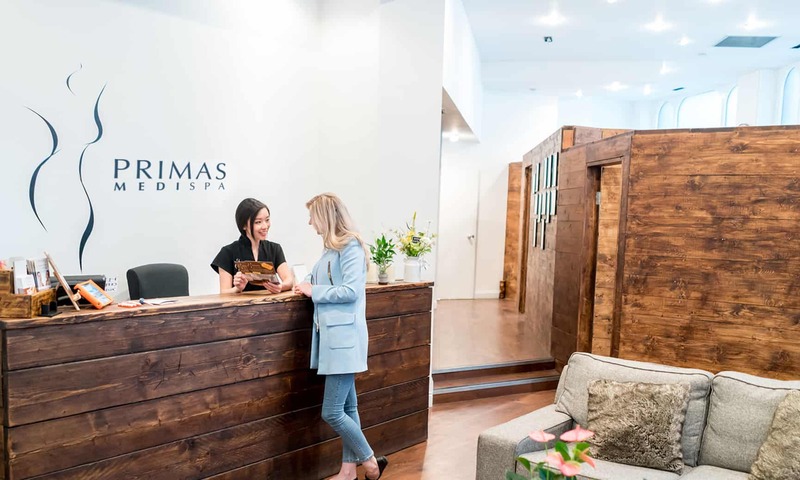 Or if you’d rather find out more about Primas MediSpa and talk to one of our beauty experts, give us a call and we’ll identify the best treatment to suit you. Primas Medispa are a welcoming team of certified aesthetic professionals. We guarantee the highest standards of customer service and care when you book an appointment at our Central London beauty clinic. Below are a handful of our specialisms. Call us today and our beauty experts will help you find the perfect treatment for your requirements. Beauty is our passion – and nothing makes us happier than sharing our secrets exclusively with you, our customers.